Urban Multistrada 1200/1260 Enduro accessory pack. Bursting with functionality without sacrificing style. A selection of accessories that simplifies daily travel thanks to the large capacity of the anodised aluminium top case designed with Touratech, the handy Tanklock® pocket tank bag and the practical extension with USB socket. 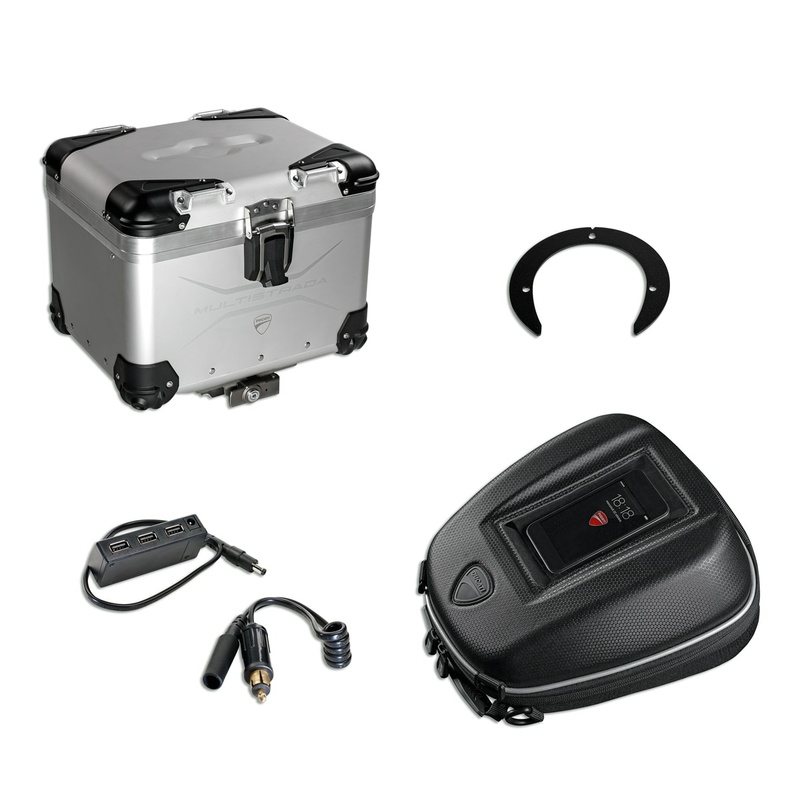 The package includes: aluminium top case, tank pocket bag, “Tanklock®” flange kit, power extension with USB outlet.